Just some pics from earlier this week. 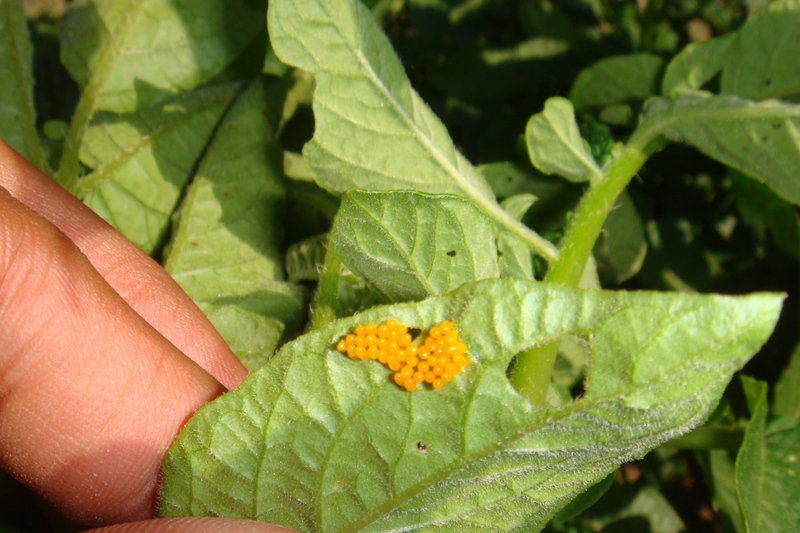 Podisus, aka Spined Soldier Bug, egg mass with a parasitic wasp! 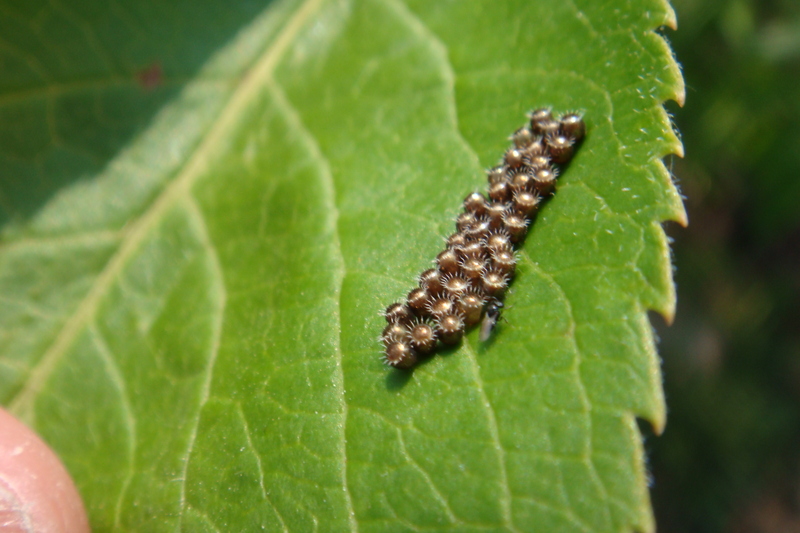 Podisus hatching from egg mass to their 1st instar, or lifestage. They can be cannibalistic at this point. 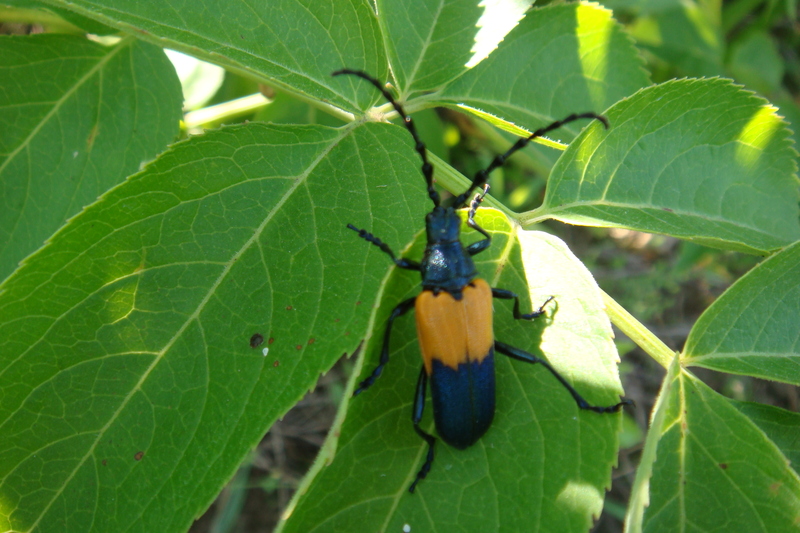 The elderberry borer is an interesting insect. 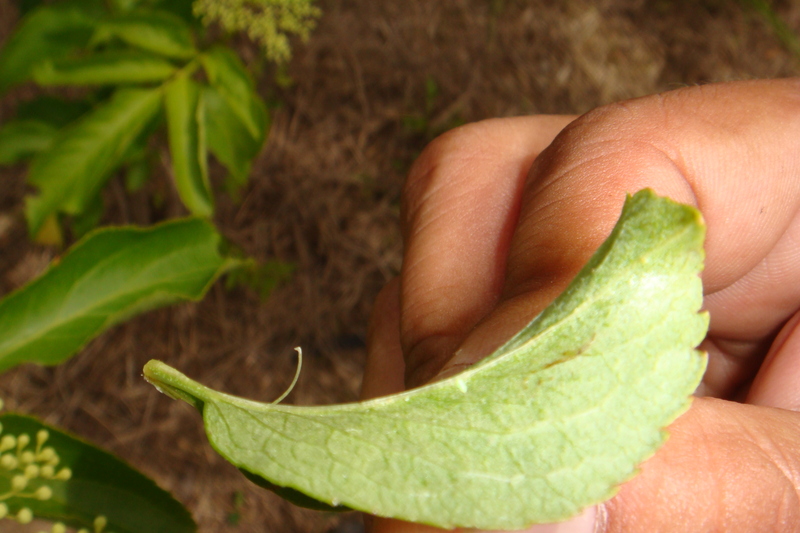 The larval stage tunnels through the base of the stem and the adult stage, pictured, feeds on the foliage. My extended work schedule has been reaping benefits. So far, I have managed to keep very busy. Thus, I have also managed to escape feelings of excessive loneliness or boredom for almost all my time insofar. My job has had me driving all over the State, visiting different farms, both conventional and organic, and monitoring for various insects. Here, I have constructed what will likely be the primary format for this blog from here on out, a photo journal of sorts. 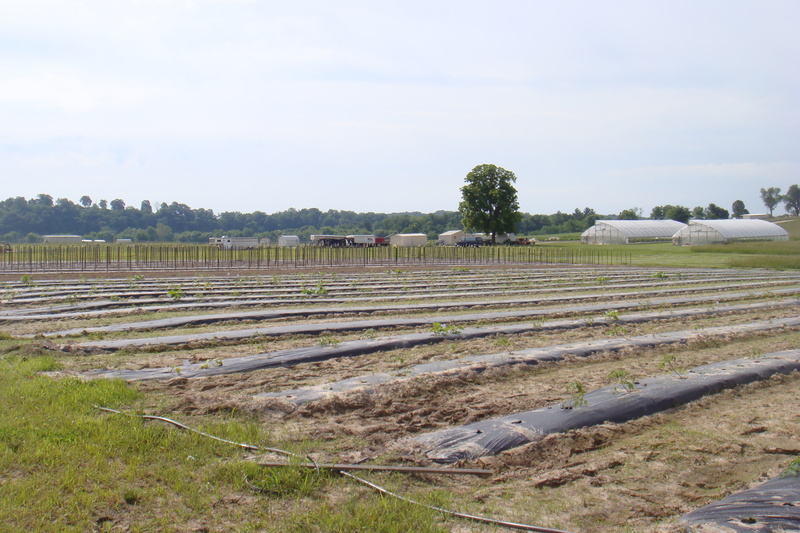 An example of no-till agriculture at a research field. 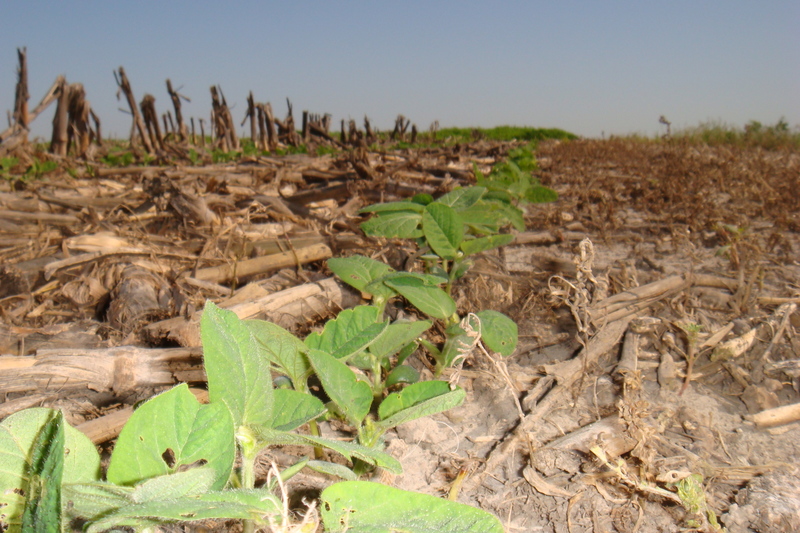 Here, soybeans are planted immediately where corn stubble has been left over from the last harvest. 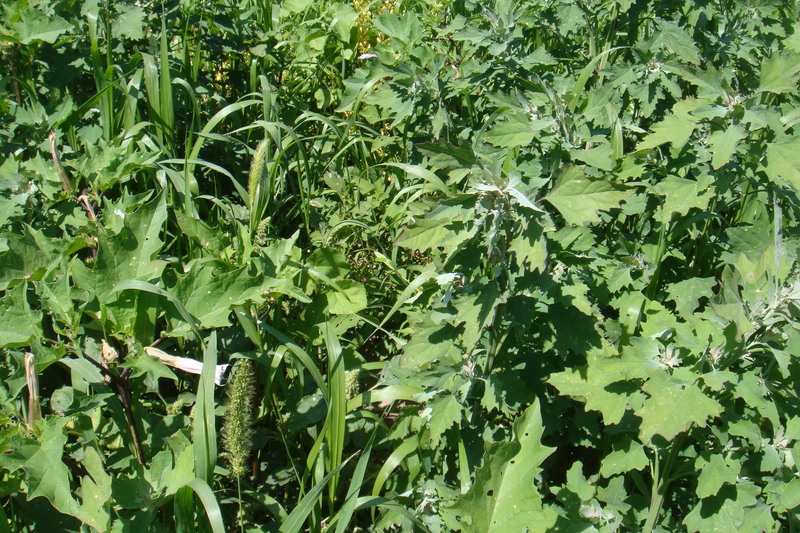 A serious pest of several crops, these are a good insect to recognize. These Colorado potato beetles are from a trap cropping study looking at different potato cultivars. The fluid specks on my hands are from the beetles themselves which may have been slightly upset at my interruption of their mating proceedings. My boss and coworker setting up pyramid traps as part of a monitoring program for the brown marmorated stink bug. A live one was reported in St. Louis recently, which, if corroborated, would make Missouri the 35th state the insect has invaded. 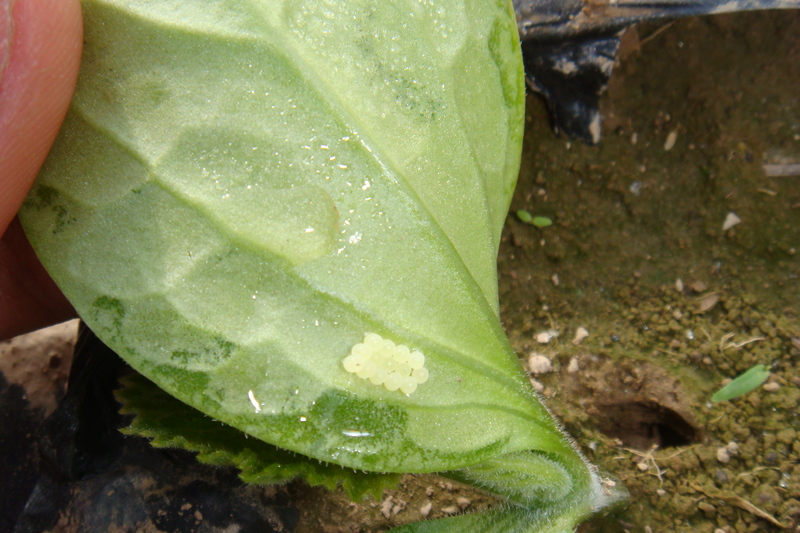 Egg mass of the Colorado potato beetle. Note the bright, vivid coloration. 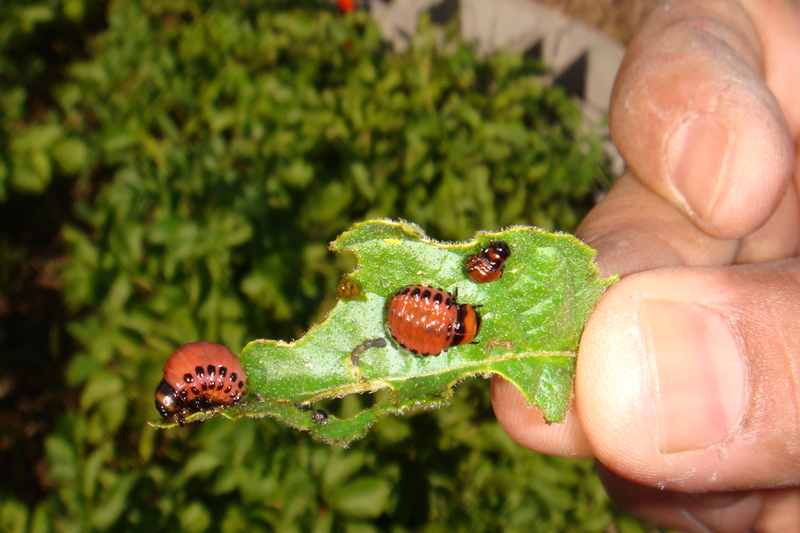 These are examples of the immatures of the Colorado potato beetle. Note that they look almost nothing like the adults, varying not only in size, but also in shape and consistency (squishier). Alternate image of the beetle larvae showing that they have been drawn to a cultivar known as ‘superior white’ versus the more profitable ‘yukon gold’ variety which is being grown right next to these, but show no feeding damage whatsoever. 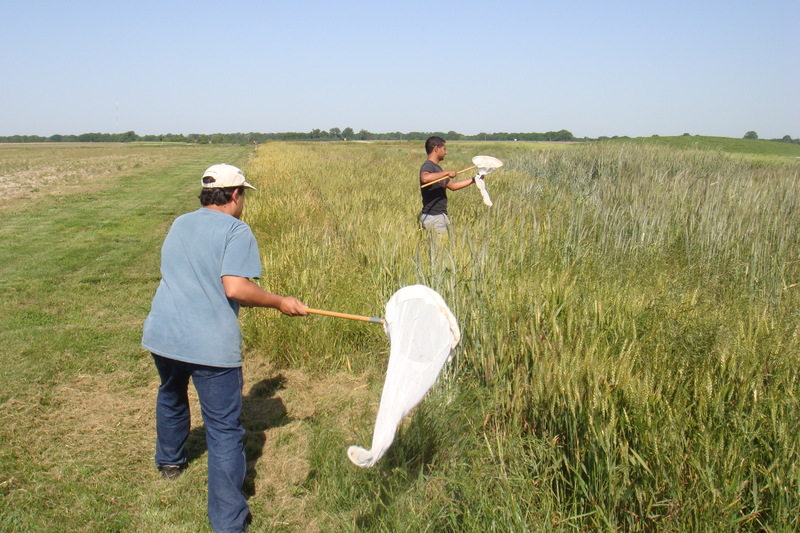 The boss man and I using sweep nets to find out what insects are present in the area. 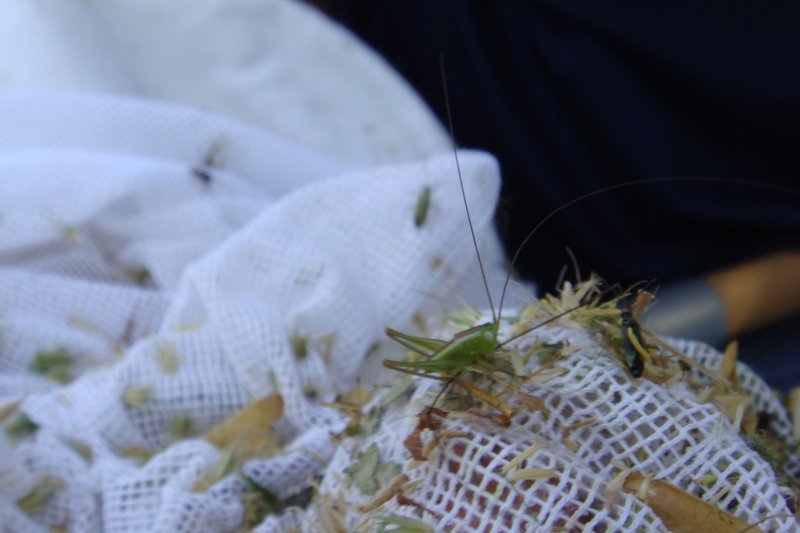 The nets are swung around ~10 times in the most dense part of the foliage around to obtain a representative sample. 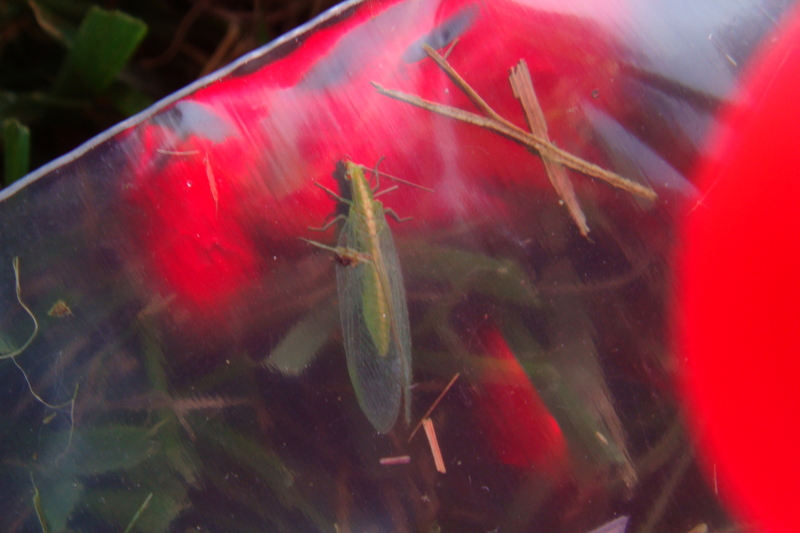 Adult green lacewing photographed through a plastic bag. This is an important predator of pest species of insects, and therefore very good to have present. The naming is characteristic of its fine wings visible in the image. 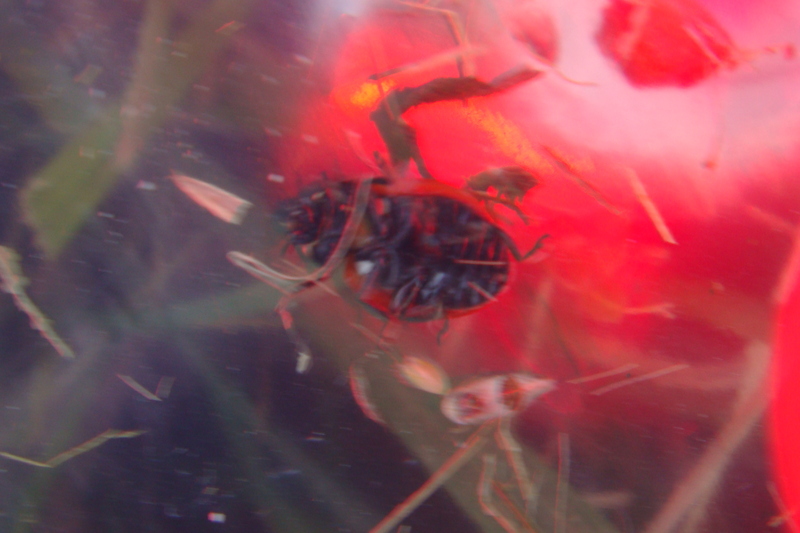 The underside of a lady beetle, species unknown. 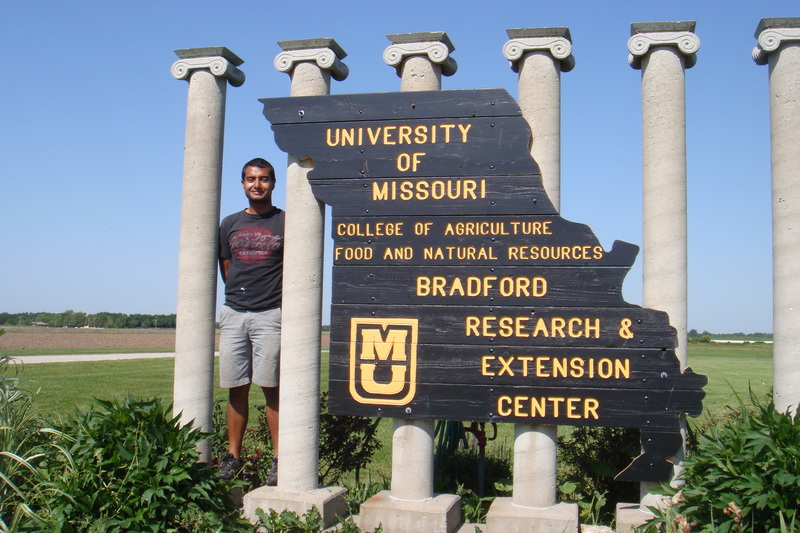 Most of the previous images were taken at an organic research farm, courtesy of Mizzou. Taken at an organic farm in Western Missouri. I believe that is a black rat snake. 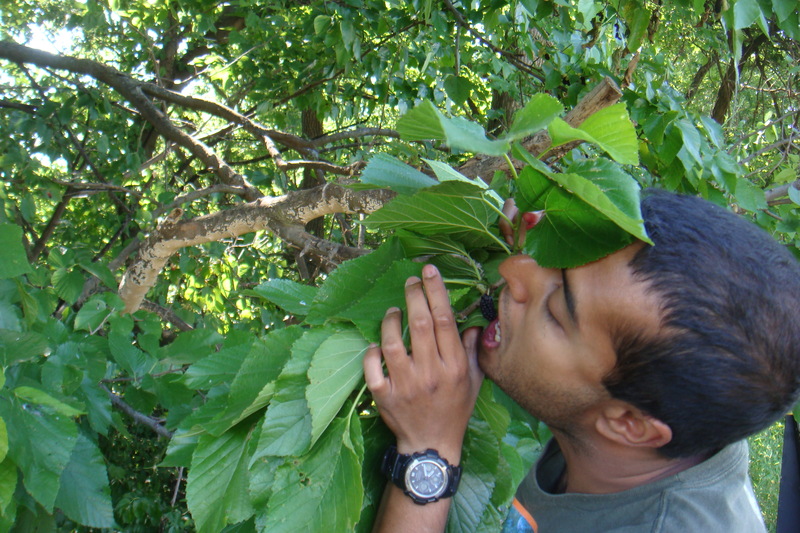 I’m developing a new respect for wild foragers. These are Lamb’s Quarters, a wholly edible, and fairly tasty and nutritious weed. 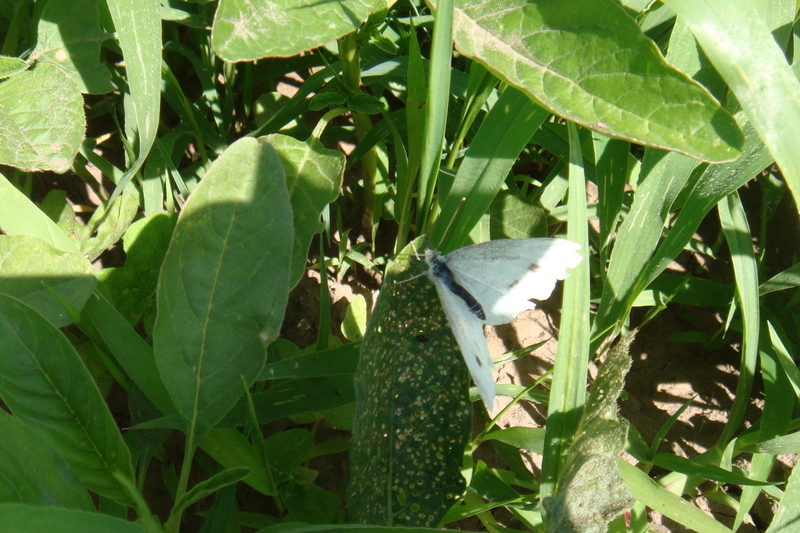 Moth, species unknown, present area-wide on an organic farm in rural Missouri. Crawling up coworker’s arm. 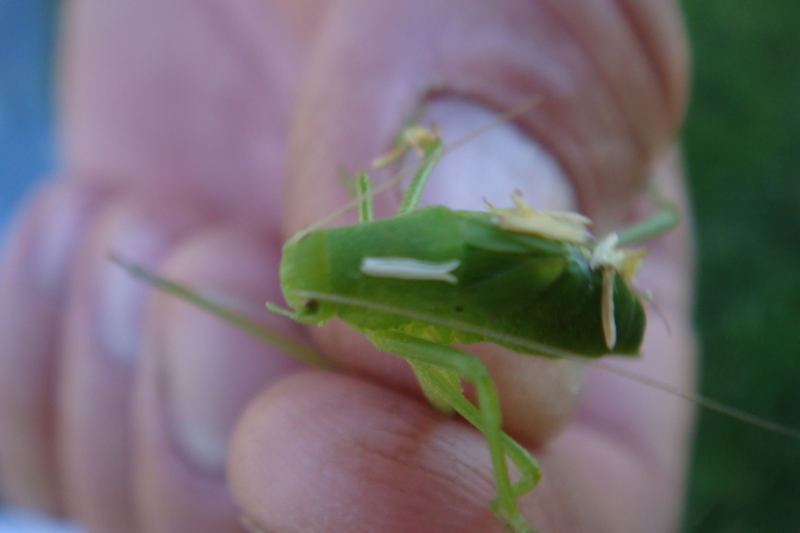 What may or may not be a ‘true’ katydid, but likely in the same family, Tettigoniidae. This is the same insect, on the sweep net for perspective. And again, on a blade of grass. 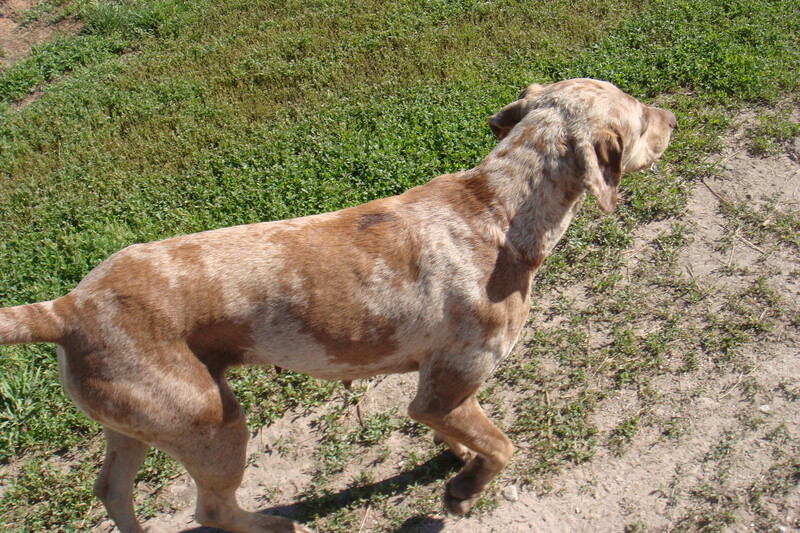 The coloration, while off slightly, makes for excellent camouflage in my opinion. 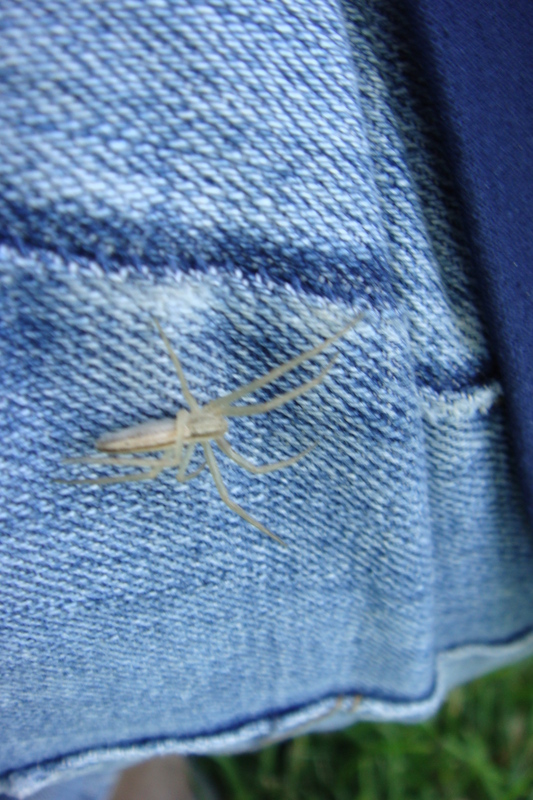 Spider, species unknown, on my jeans. 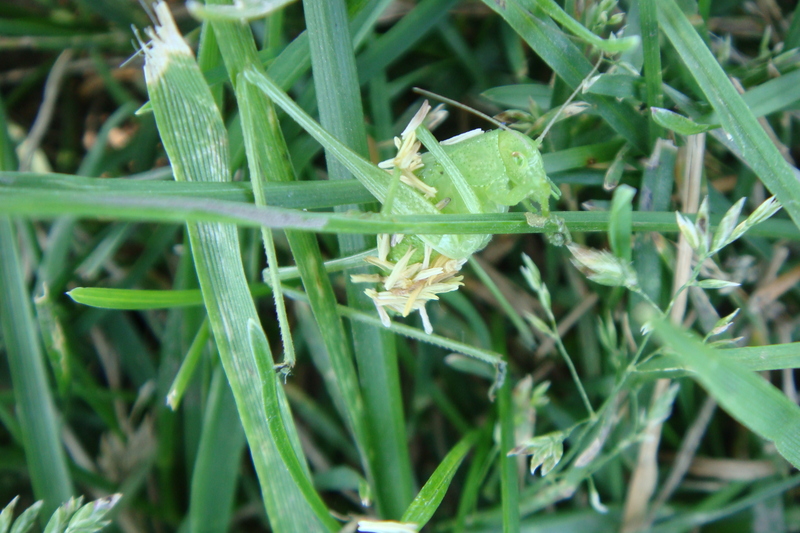 And one more pic of that ‘katydid’; I love this thing. Paused for lunch at a truck stop. Surprisingly tasty and cheap food. Probably full of insecticides, I suppose, but the best within a 20-30 mile radius. I learned that the asparagus that we buy and consume from the store is actually fairly immature. What we know is pictured in the foreground of the image. 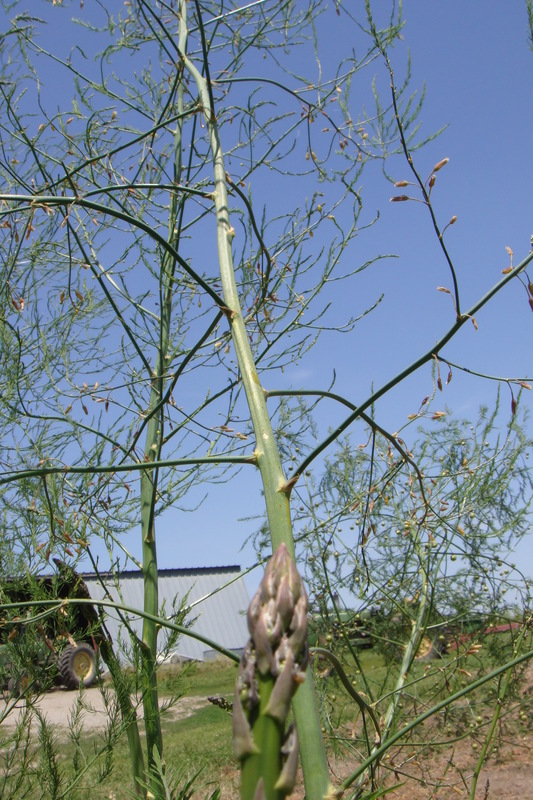 The rest of the image shows what asparagus looks like after it ‘bolts’ or ‘goes to seed.’ This is what happens when a plant finishes its vegetative state and proceeds to the reproductive state. 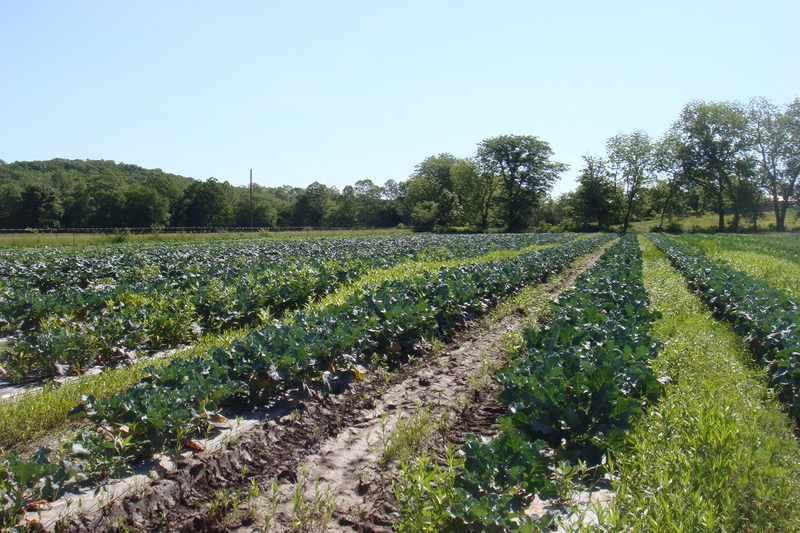 Most vegetable crops are harvested early on, before they begin reproducing. 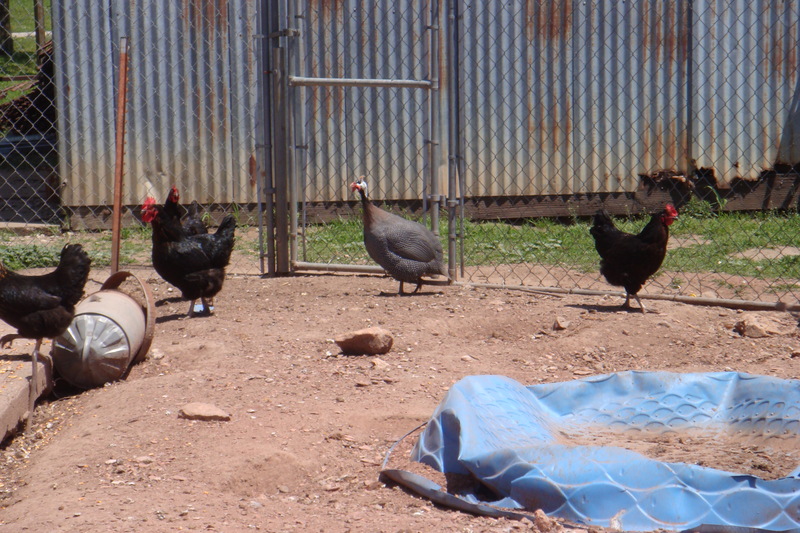 Amongst the clucking, I spy what I believe to be a pheasant of some sort. Taken at yet another farm. Found a massive stand of (thornless!) blackberry bushes which sadly had not fruited yet at another organic farm. 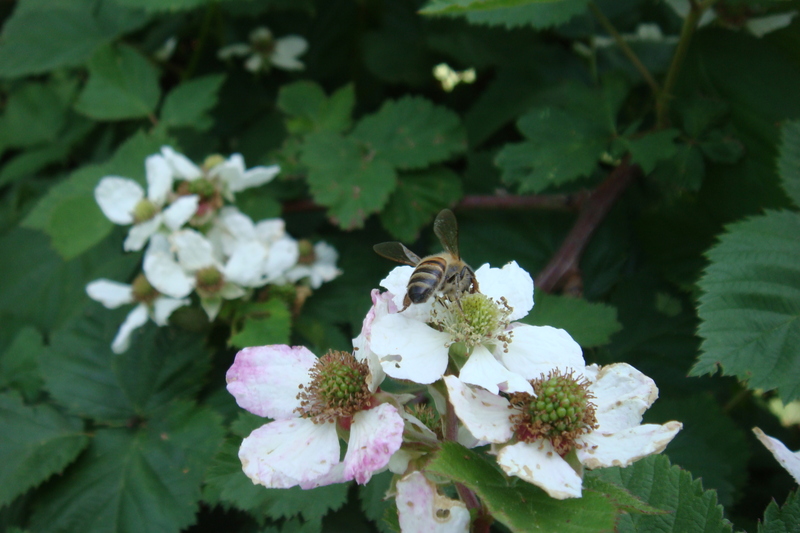 Pollination seems plentiful with these honey bees everywhere. Taken inside a greenhouse. The farmer, Jose Fonseca, is pictured with my boss. 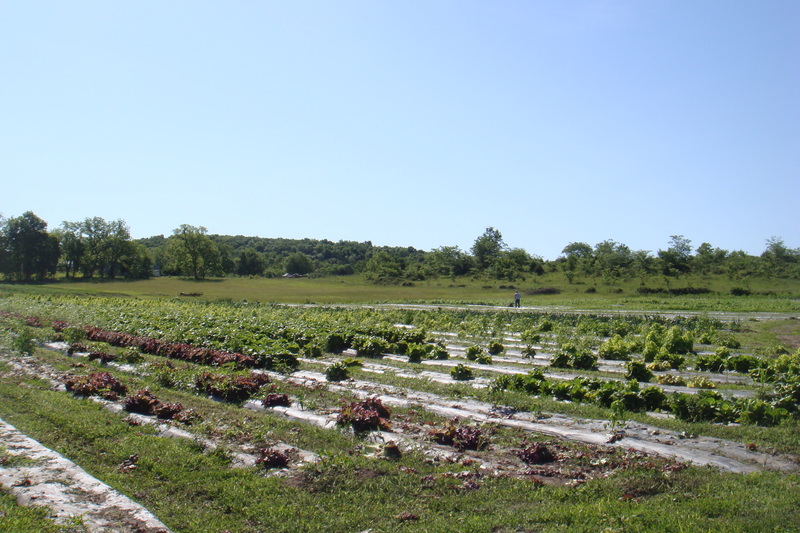 The farm is located within St. Louis city limits and is considered an urban farm in that it is abutted by a hospital and children’s day care center. 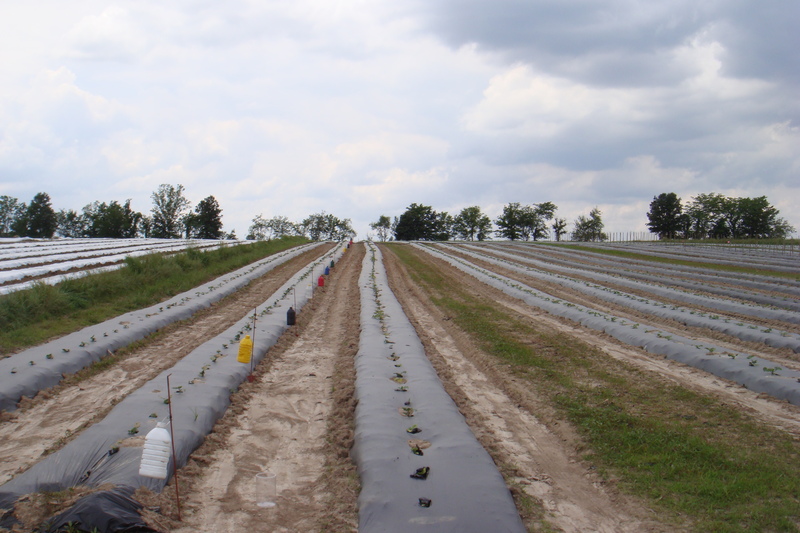 As such, the farmer takes special precautions to limit pesticide and herbicide use to minimize potential harm to humans as well as to the environment. 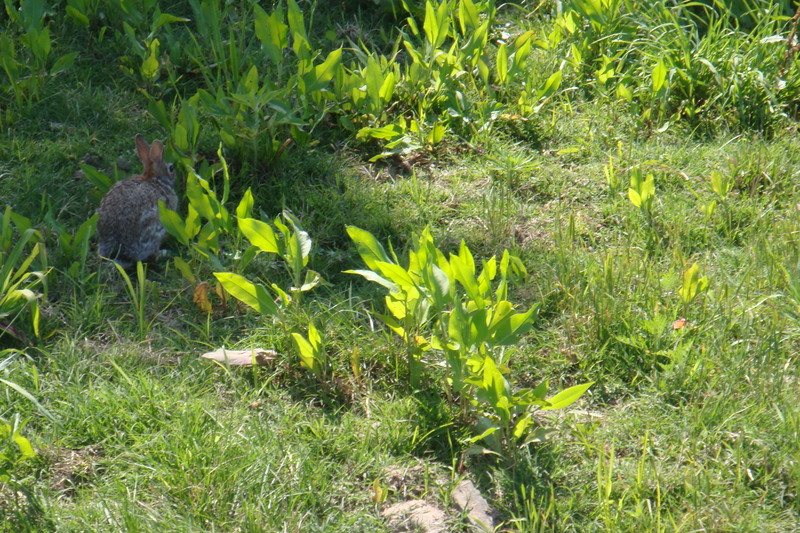 Mr. Fonseca seems to be plagued by an abundance of wild rabbits, which are chewing on some of his most valuable crops. 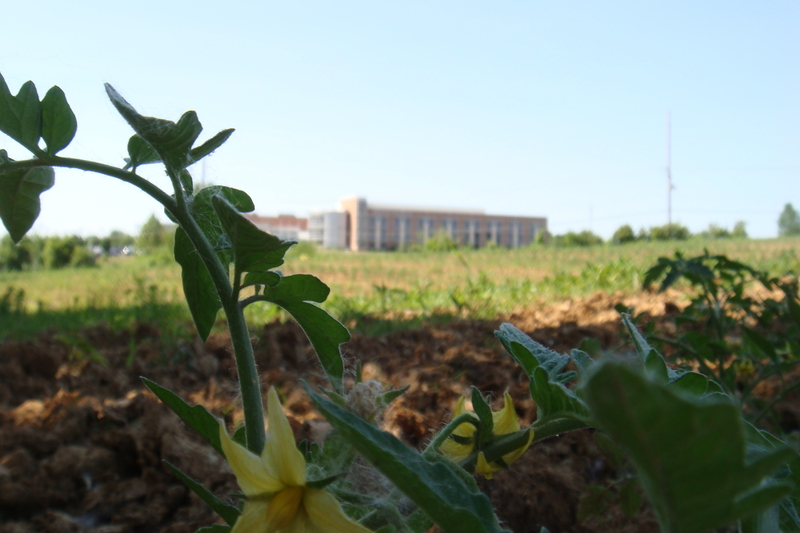 An image showcasing a tomato plant in the foreground and the edge of the field further out which is situated next to the aforementioned hospital. 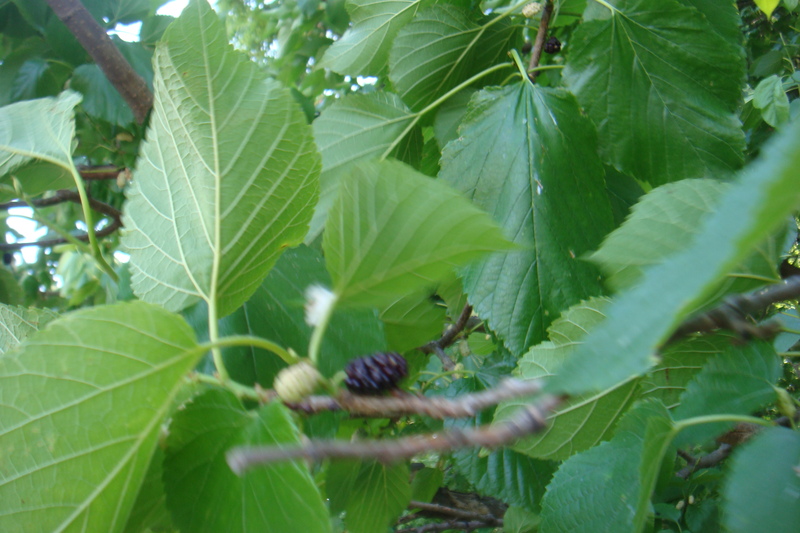 I have discovered mulberries. Immensely delicious, growing on several trees on Mr. Fonseca’s property. 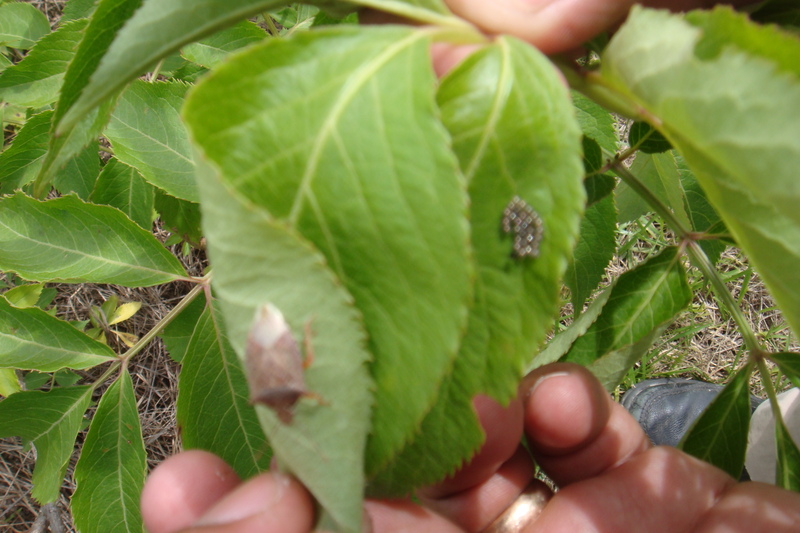 After a while, my boss realized that I had disappeared from doing the work that I was supposed to be doing (looking for cucumber beetles) and found me in a thicket of mulberry trees. He insisted on taking a picture of me ‘grazing’ to showcase my greediness. Further into St. Louis proper. While searching for a good place to situate pyramid traps for the brown marmorated stink bug, came across this stream bank. 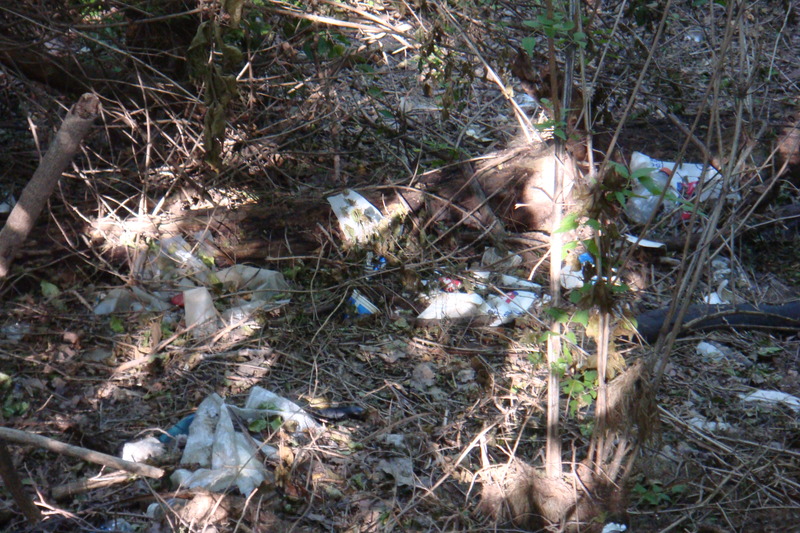 Sadly, it would seem that we humans are much the same across the world in our lack of caring for the natural world. So there you have it, most of what I’ve been up to this week. Tomorrow I’ll be spending the whole day on a field of elderberries. I’ll be observing and taking notes on visitors to the extra floral nectaries throughout the day. I’ll also repeat these observations throughout the entire season to get a better grasp on their role and ecological function. I’m also happy to report that I have a list of ‘things-to-do’ now, as well. My coworkers and I have made plans to purchase, butcher, and consume a goat. I realize this is not exactly in line with my ‘vegetarian’ goals for the summer. I have no good excuse for this, other than it will be an interesting activity in observing one coworker on particular, who has never had goat meat before. I will also be part of a ‘spelunking’ trip, which is the operative word for caving here. My only experience with caves has been in reading Tom Sawyer and watching documentaries on cave diving in Florida springs, back home. As such, I figure this will be quite the adventure. Additionally, I will be spending at least one day fishing on the Osage River, courtesy of my coworker. I have also, hopefully, convinced my lab mates here to partake in a 5k with me in my effort to get everyone here in (somewhat better) shape. It still remains to pick a suitable one, so suggestions are welcome. Finally, thanks to a kind commenter for suggesting the Katy Trail to me. I will be making plans to take myself on a night hike within the next week or two. All told, I will be participating in the mentioned activities at intervals throughout the summer as scheduling permits. 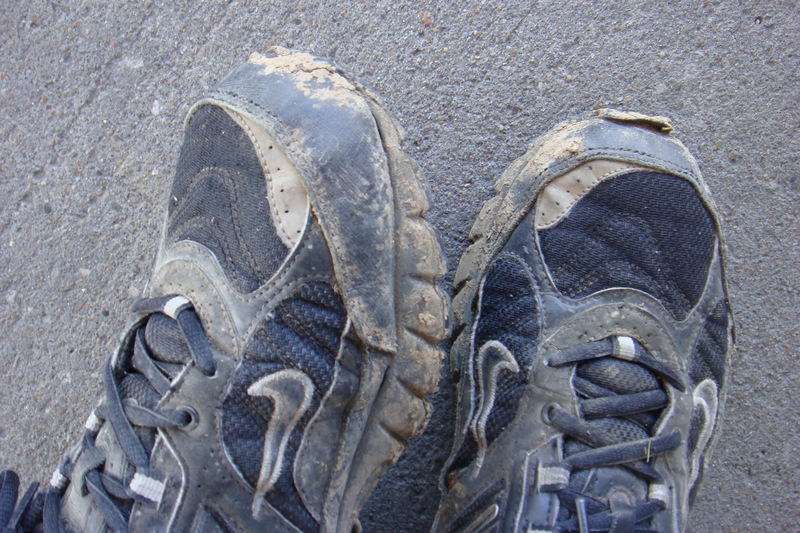 Work must come first, of course, so the trips will be spaced out with respect to insect populations and densities. Ideally, I will be providing you with details of all these adventures throughout the summer, so I hope you take the list as a preview of what I have coming for you in this blog. In other news, please take the time to visit my friends at Educational Biologists and ‘like’ their page. I will be contributing my photos as they build out their network. I would really appreciate your support as they will soon be applying for various grants to help support science education in poor and underserved communities. Hopefully, with enough ‘likes’ and a smorgasbord of new content over the next few months, they will achieve their goal in reaching out to kids both locally and globally. As one final note, I will also gloat that I now have internet access at work as of one day ago!!! 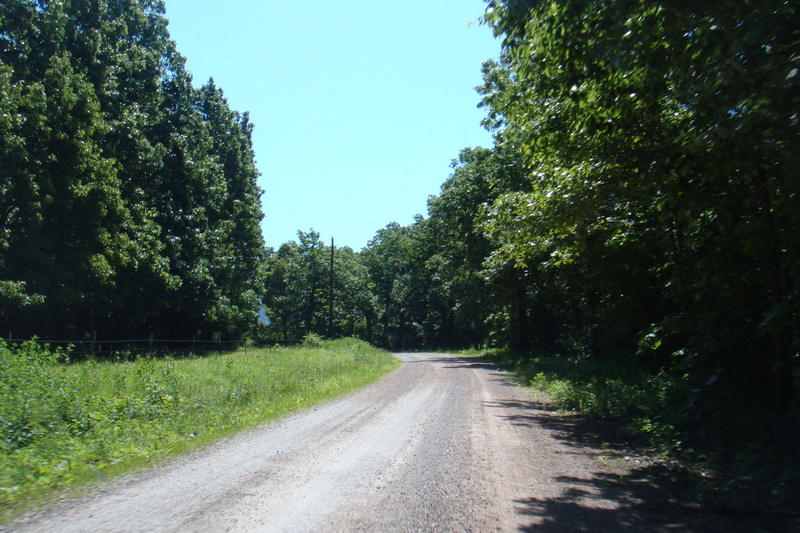 However, I have also realized that such internet access doesn’t mean much as more or less all of my work is outdoors, in the field, and spread around the whole State. So, I fear, my updates here will continue to be a bit sparse. I’ve just completed a little over a week out here. Last time I left you with some pictures of the first leg of my trip. 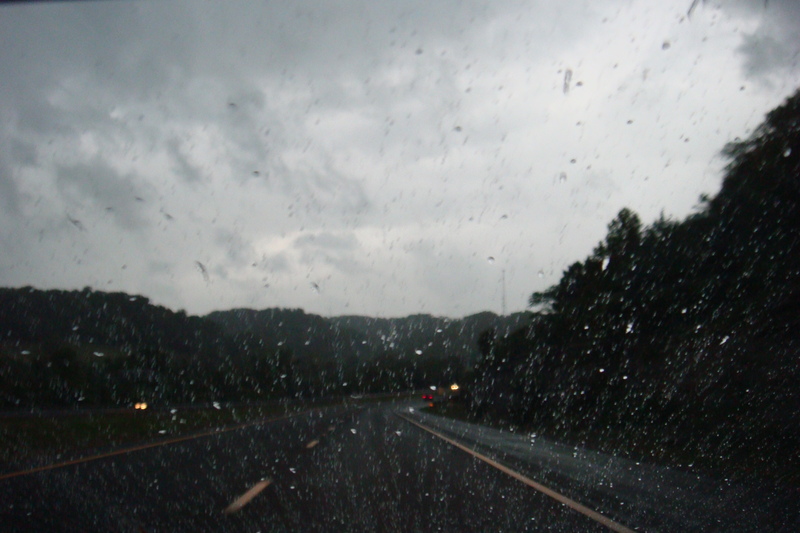 The second leg was decidedly ‘uglier’ in the sense that not much scenery can beat the Appalachians. 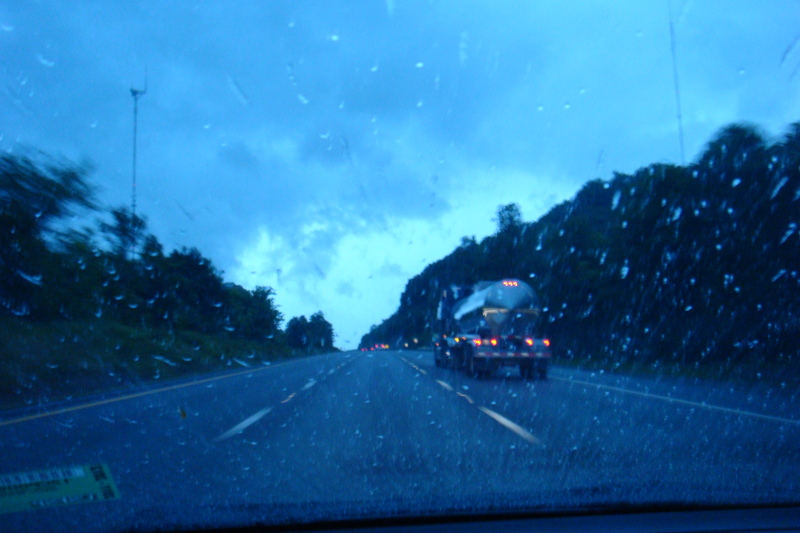 Also, it was a bit wet most of the way from Nashville coming into Missouri. 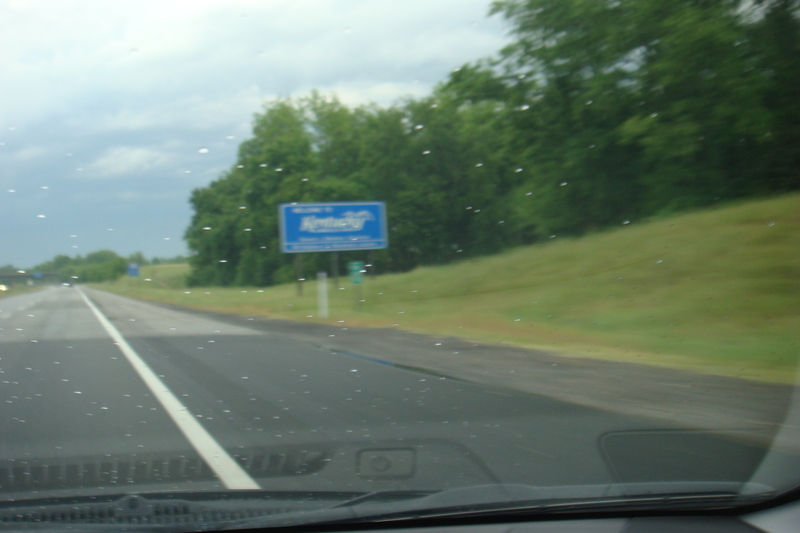 A few more hours of driving had me in Kentucky and eventually Illinois. Both fit what I had heard of severely bad roads and boring scenery. I would note here that though Florida is just as flat, the wildlife and vegetation in Florida is much more interesting than corn fields. 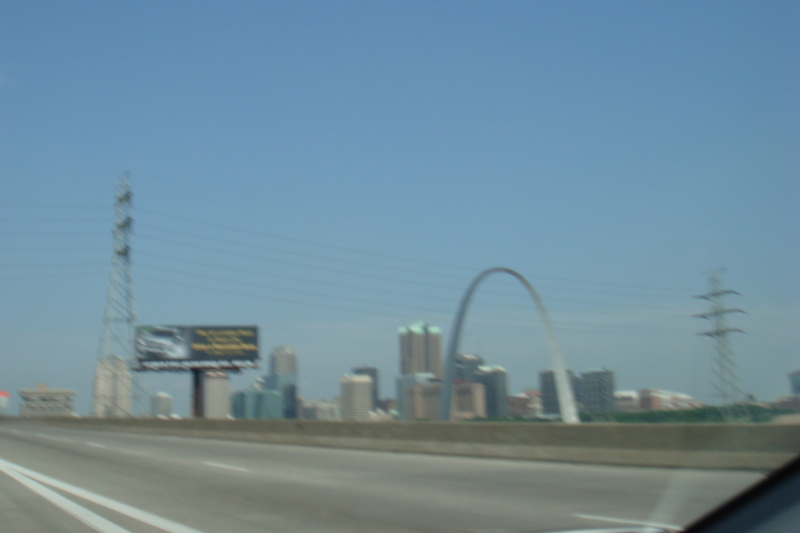 Indeed, the highlight of the second leg of my journey out here was driving through St. Louis. 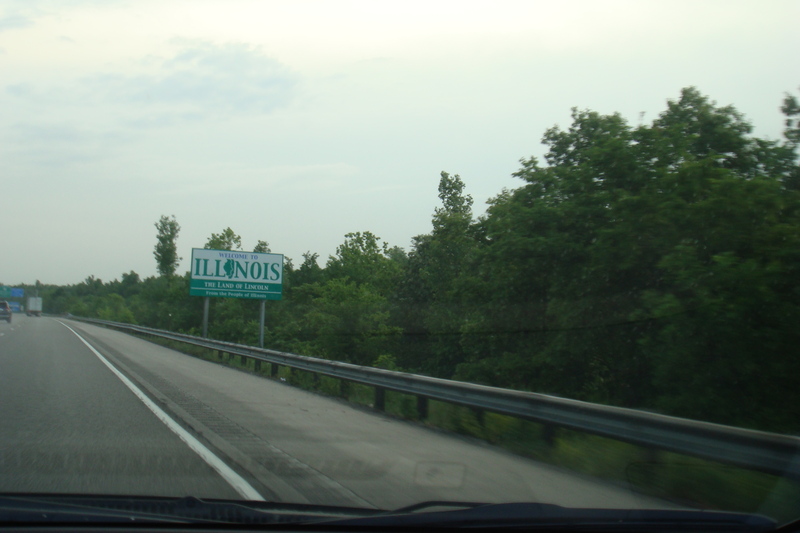 I’m not entirely sure about this, but the city might be one of the biggest in the Midwest. My understanding is that St. Louis is considered the Westernmost Eastern city in the U.S., and I would agree with that sentiment. After settling in on Saturday afternoon, and bumbling around on Sunday without much to do other than pick up a few non-perishables, I came into work on Monday. Here, I should note that I unconditionally love my boss. Jaime Pinero is one of the hardest working people I know. He has a wide range of experience that I won’t detail here, but suffice it to say that I could hardly ask for a better leader. Unlike most of my previous experience, my work here is not just limited to pure research. I also take part in extension activities. I know many of you know that I work a lot with kids, even back in Florida, whether it’s giving talks or teaching about ecology and the environment, I do some of those things here, too. Extension work in the Midwest also includes helping farmers out when they ask for it. 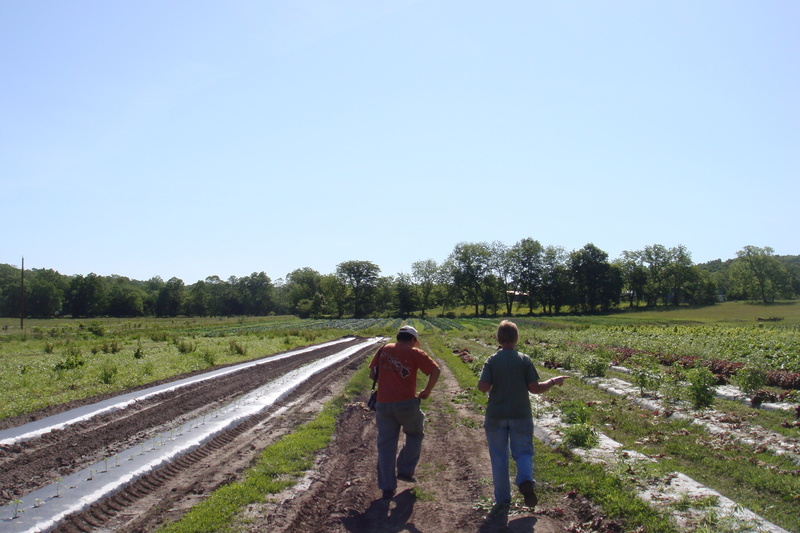 One of the first farms I went out to for this purpose was an organic farm in the far south western corner of MO. 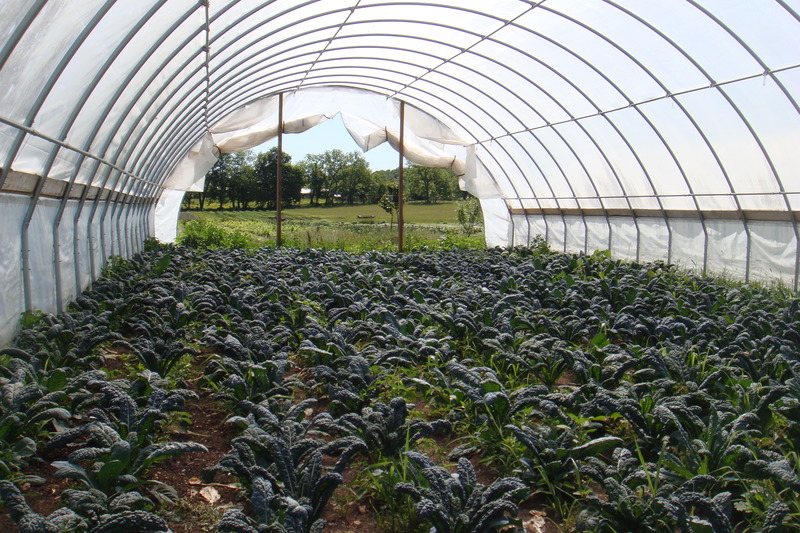 Used for growing some more sensitive crops when they are smaller, or even through harvest. 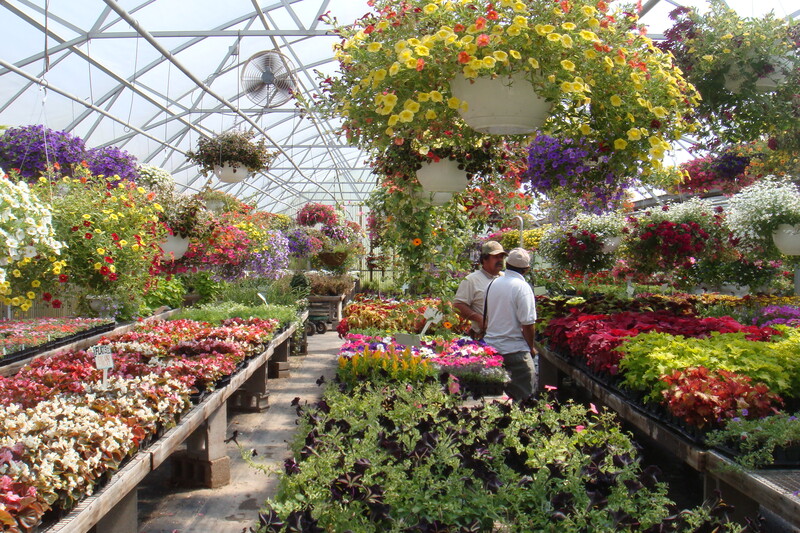 Similar to a greenhouse in that sense, but cheaper. 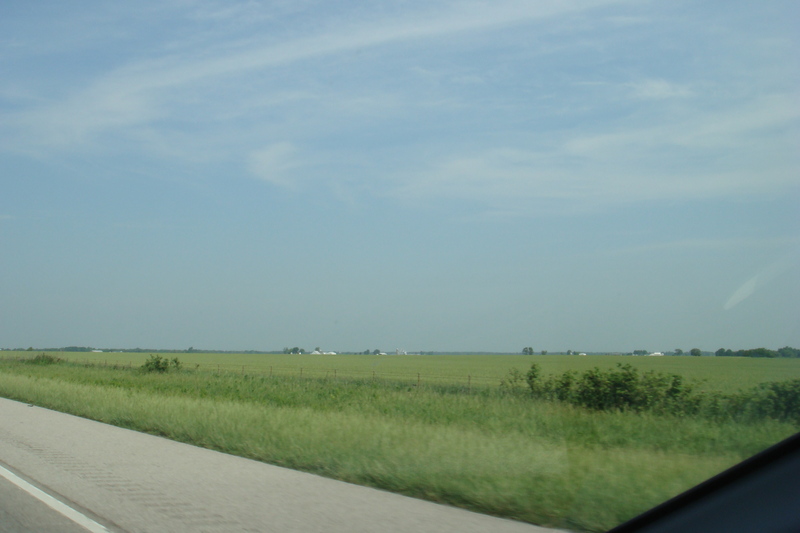 Even though a lot of my work involves driving around random parts of the State, things don’t get too dull because of the low population density. For those of you who might think that I’m just carousing around, getting paid to chase bugs, I would remind you that while, yes, I do that, there is real work involved. 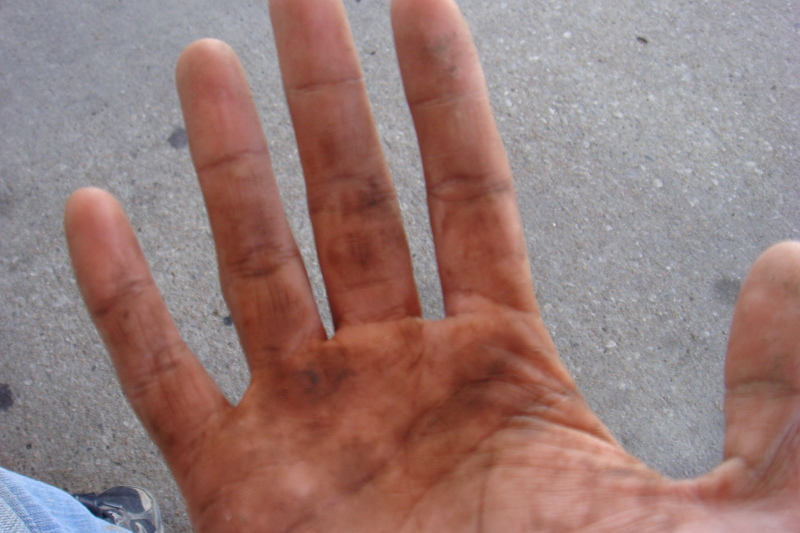 I call them ‘farmer’s hands’ because it fits my image of the stereotype. A mix of grease, dirt, insect frasse, and a whole lot of stuff I’m not too sure about. While working, I’ve been lucky to observe some pretty neat things in the field. For example, here is a picture of Podisus maculiventris, an important predator insect species. This is one of the ‘good’ squash bugs. If you can’t see it in my image, look around the internet for some others of the piercing, sucking mouthpart. The insect uses this to hunt other ‘pest’ species of insect. Also, check out the eggs this female laid. They have a characteristic silvery sheen that is quite striking in person. The green lacewing is another of my favorite insects. Not only are its wings extraordinary (hint: the name of the insect) but the eggs it lays are equally neat. One of my favorites. Egg is at the tip of the stalk which is anchored to the foliage. I don’t know everything there is to know about insects, though. 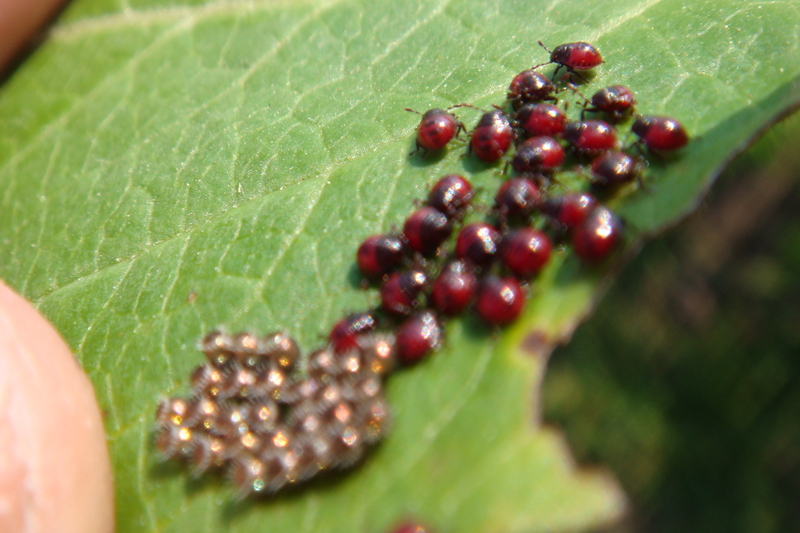 Lots of eggs, for instance, look like other insects eggs. Found early in the morning. Unknown species. Located on underside of cotyledon of a young zucchini plant. Will investigate further. 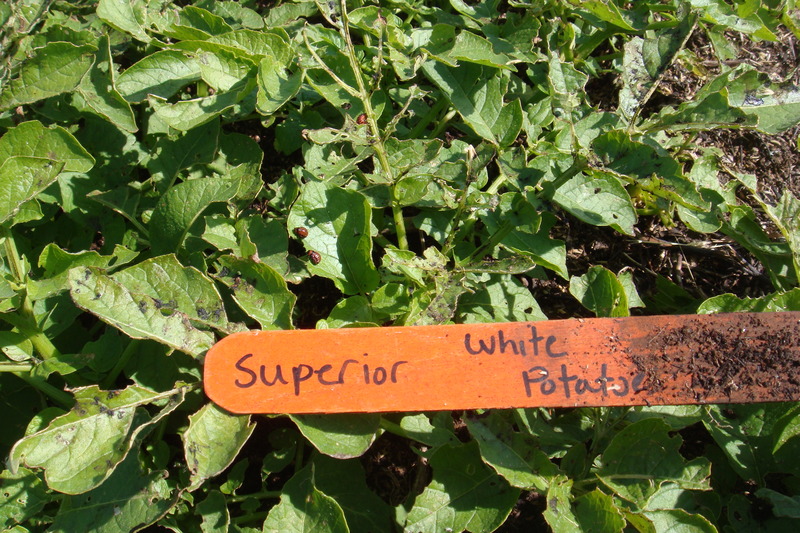 I should clarify what my role is: A large part of my research and work here involves IPM (integrated pest management). 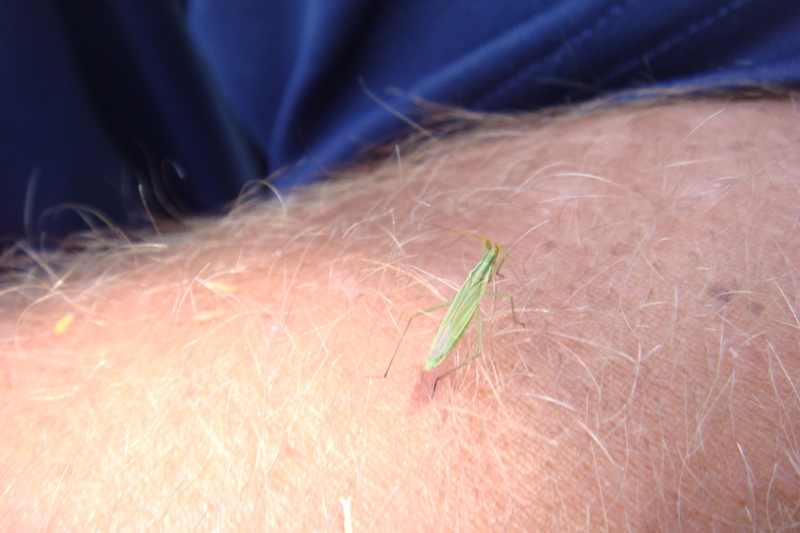 IPM of insect species, whether in crops, or in urban settings, traditionally involved three categories: chemical control, mechanical / cultural control, and biological control. 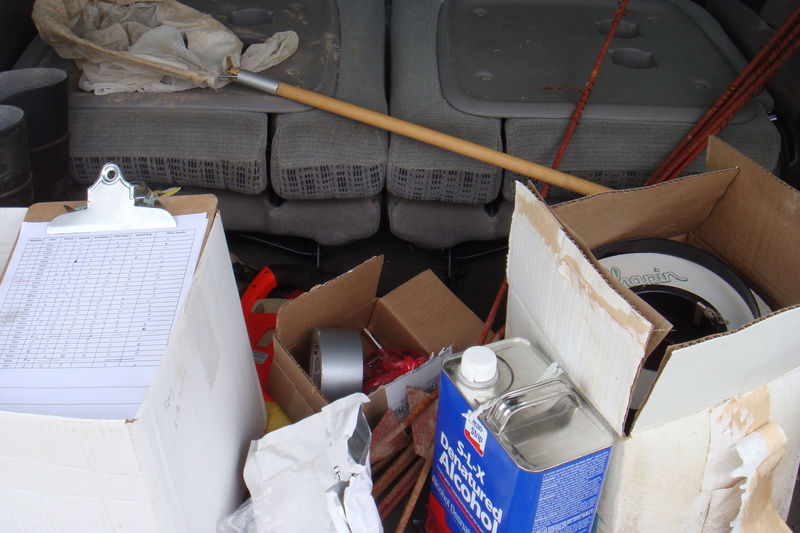 Chemical control has, since the ’40s and ’50s, been dominated by broad spectrum, environmentally damaging, human health problem – causing, compounds. To some extent, this is changing today. Many of the most problematic chemicals have been phased out, or outlawed. Modern scientists are developing more targeted insecticides and herbicides that are also less persistent in the environment. There are also new, organically certified compounds (i.e. Spinosad, Pyganic, etc.) that can be used. 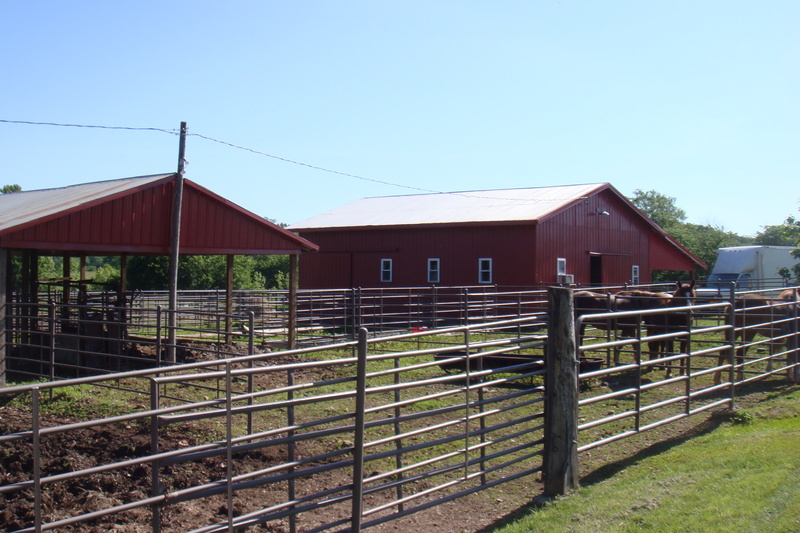 Mechanical, or cultural control as it is sometimes called, is easier to implement, as it involves things like trap cropping, no-till agriculture, beetle banks, and the like. If you want more information on any of these, it should be easy enough to find – I will attempt to keep this blog from being overly scientific. 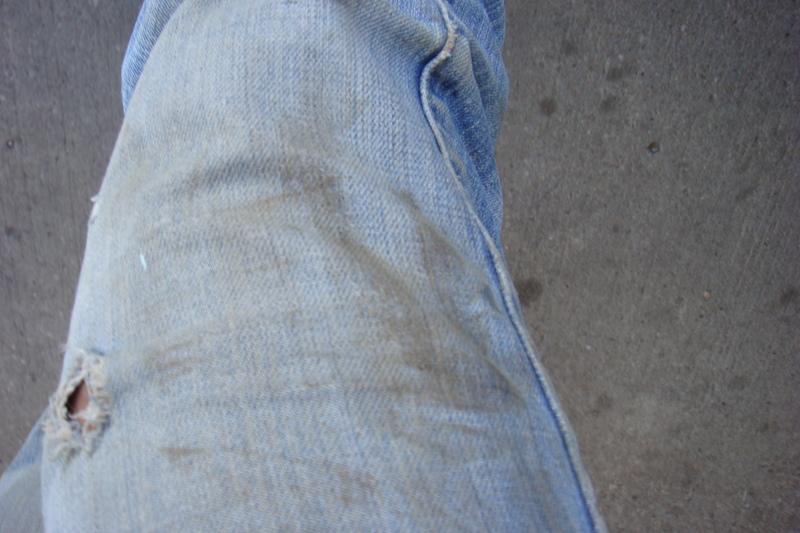 What I work on largely is the biological component of IPM, i.e. conservation of natural predator species and the like. 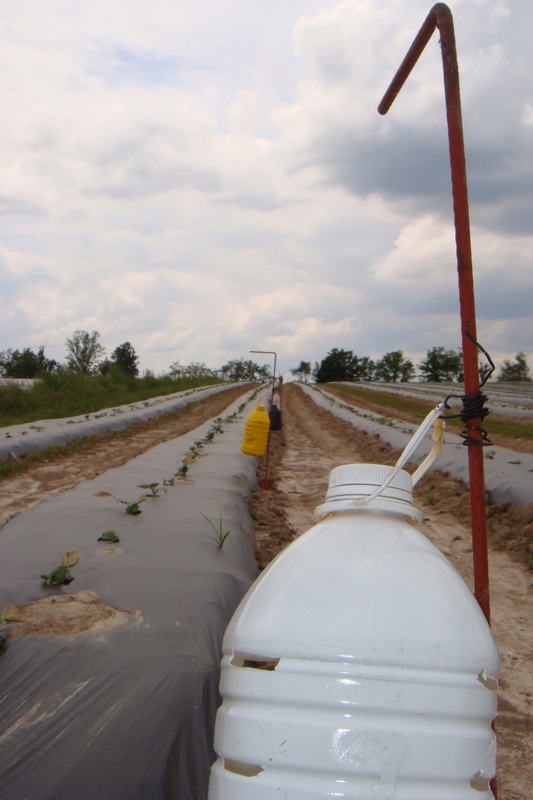 Conventional farm, but limited insecticide use. This was where I found the egg mass, above. Other than the sweep net, wire cutter, etc., I think duct tape is a universally useful tool in any given profession. Big time farmer, Rusty Lee, located ~25 miles outside of St. Louis. Population of this town = 14. 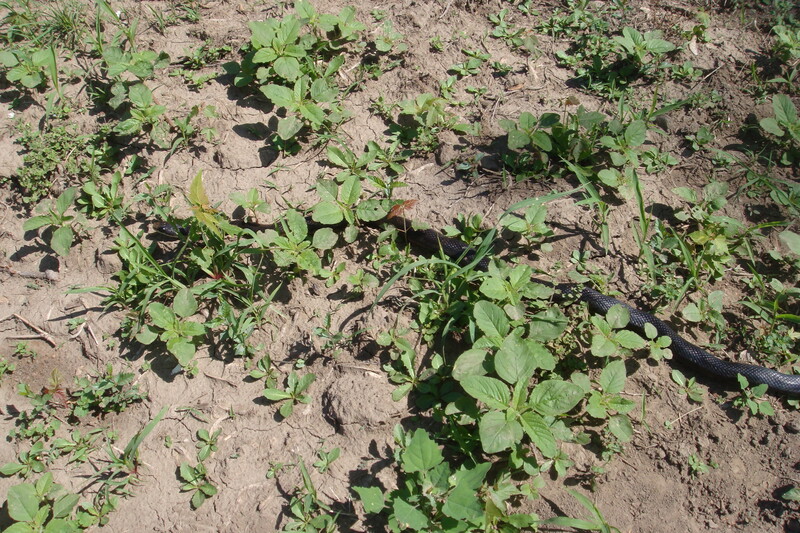 Close up of previous picture detailing bait traps of different colors along a row of cucurbit plants. 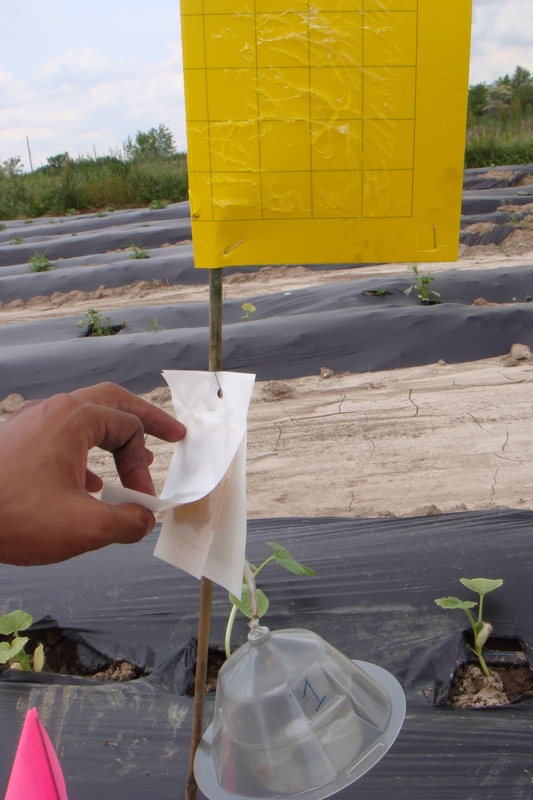 Purpose is to determine efficacy of said traps as part of a mass trapping strategy for cucumber beetles. 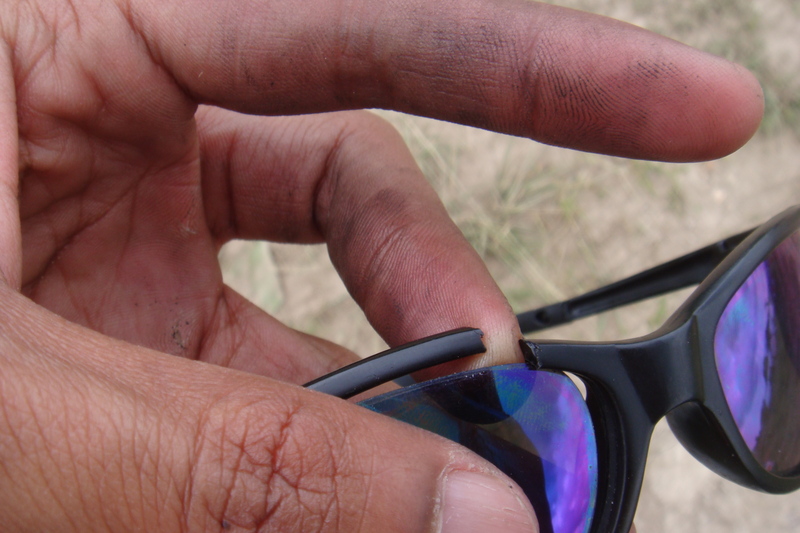 That makes three pairs in three months. 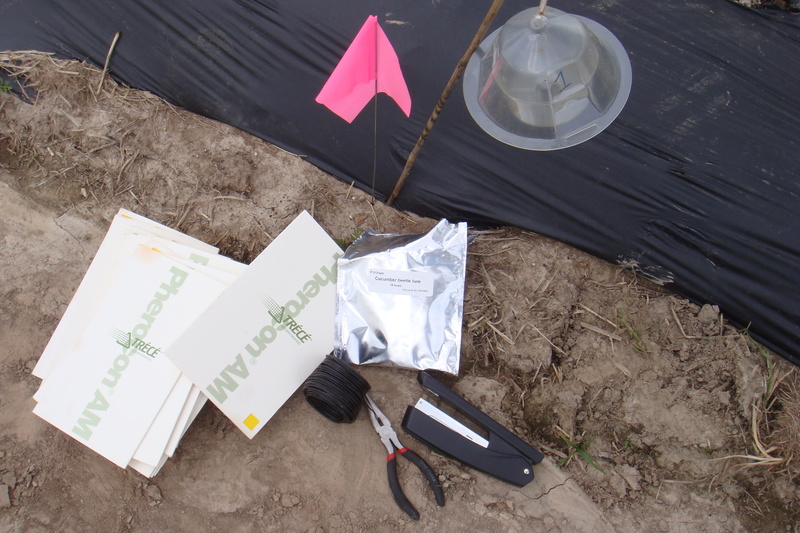 Yellow sticky cards, clear corn rootworm traps, cucumber beetle lures; all placed near Blue Hubbard squash to test attractiveness. This is what it all looks like when put together. So there you have it. A small selection of the things I do. Some notes on the culture here: it’s conservative, but a different kind of conservatism from the proverbial ‘Deep South’. Indeed, what passes as a very conservative person here might be construed as a moderate or even liberal in Mississippi. People here have the potential to be exceedingly friendly, in this sense. Either way, things are a bit on the lonely side here. 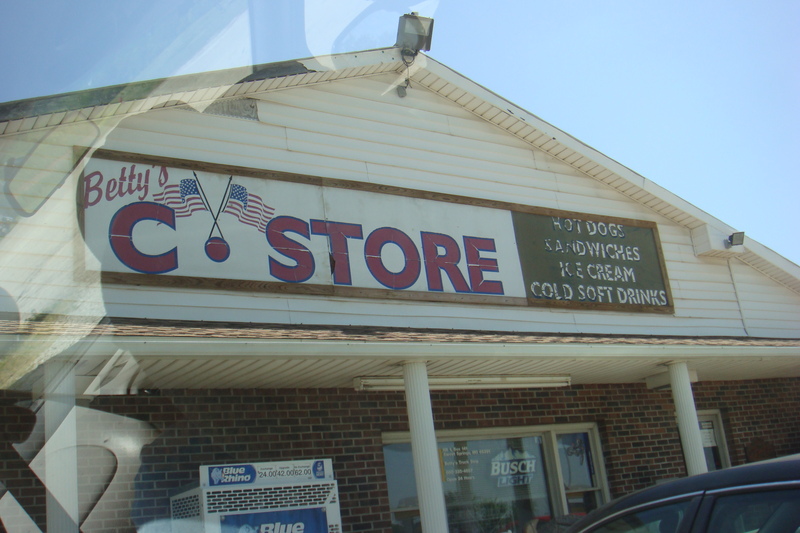 There isn’t a whole lot to do in Jefferson City. Of all the people I have talked to, it would seem that all the things-to-do are located in Columbia, MO, about a half hour drive. I’ve taken the initiative to work a little extra every day, for every day of the week (read: including weekends) such that I can come home a little on the early side. I’ll hopefully be back in Florida by early August. I should further note that I haven’t really had internet access, hence the delay in posting this update. The IT department here should have things figured out by the end of this coming week so I should be able to post more regularly after that. And as always, feel free to ask any questions or post suggestions, or ideas you would like to see implemented.